I like you. It definitely wasn’t love at first sight. But the more time we spend together, the more I liked you. You were a bit wet in the Lamy Safari with a broad nib, but who isn’t? You were a little smeary, but I can deal with that. But here’s the thing. You wrote great. And the water test? Holy smokes. And you’re pretty. Oh-so-pretty. Just a tiny bit orange to make you softer than other reds. 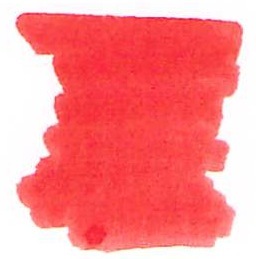 Totally different from Noodler’s Red. The truth is, Morinda, after visiting with you for a week or so, I might be in love with you. We’ll see – I’m not quite ready to commit to just one red, but maybe…just maybe. P.S. I am just about at the end of the reviews that I scanned before the highlight test – thank goodness. And, yes, I am just lazy enough that I didn’t go back and fix the issue. Haha. 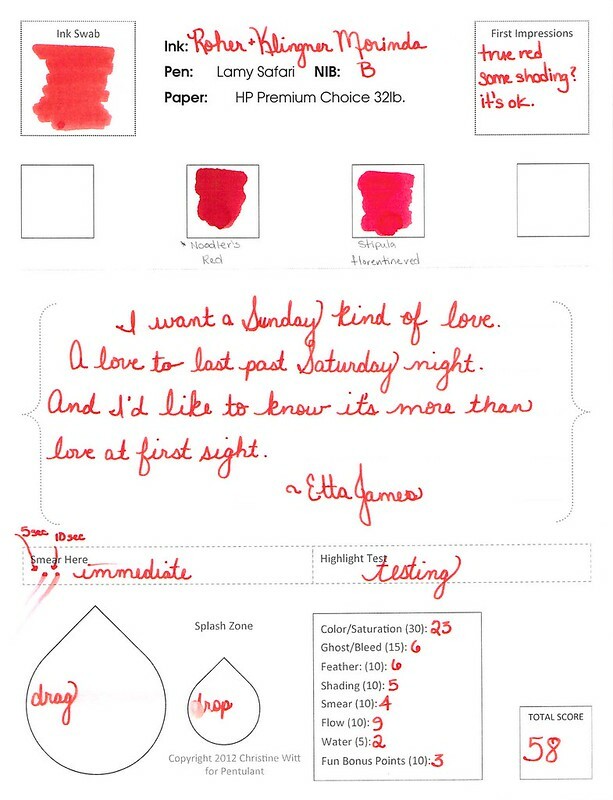 This entry was posted in INKS, LOVE and tagged red, rohrer & klingner by Christine (Pentulant). Bookmark the permalink.